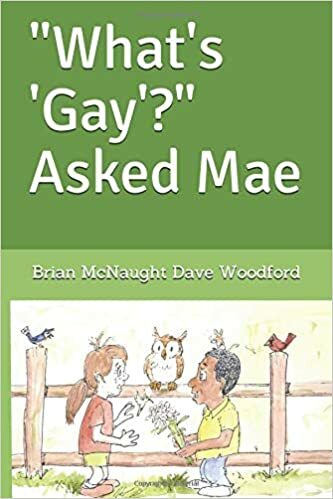 The very odd “What’s ‘gay’?” asked Mae (2018) written by Brian McNaught and illustrated by Dave Woodford, tracks a conversation two children have with a variety of birds about the meaning of the word ‘gay.’ Beyond the awkward set-up—Mae asks her cousin Ray what ‘gay’ means and birds respond—the text is poorly formatted, and the illustrations do not reflect a consistent style. The short book is jarring and uncomfortable to read aloud. Although the message of acceptance is commendable, this short picture book isn’t a good vehicle.